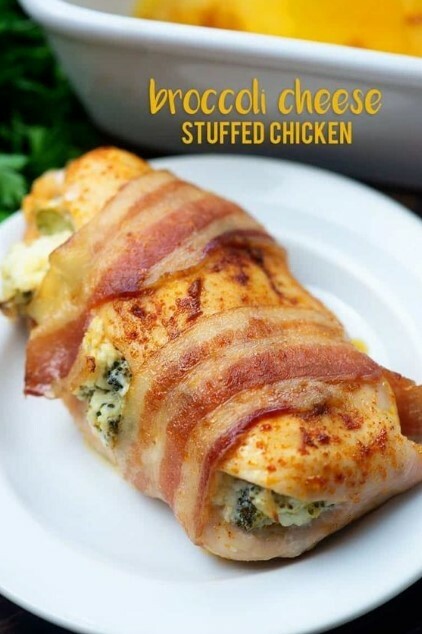 Broccoli and cheese stuffed chicken will quickly become a family favorite! The broccoli filling works so well inside a chicken breast! Wrap it all up in bacon for ab amazing low carb dinner!